Emily Wade was last seen leaving a friend's house in her mother's car eight days ago. hour with that urgent search for a missing mother. Emily wade was last seen leaving a friend's house outside of Dallas, but never made it home. Zachary kiesch joins us with more. Good morning, Zachary. Reporter: Good morning to you too, Eva. You never want to see a situation like this. She's a mother, she's a daughter, she's a friend and this morning she's missing. Her mother says Emily would never intentionally disappear and now on day eight her worried family is begging for the public's help. She vanished without a trace. Emily wade, a 38-year-old mother and waitress in ennis, Texas, has been missing for over a week. We'd already made all kinds of plans, you know. Just nothing makes sense. Nothing unusual at all. She was in a good mood. Reporter: Her mother says Emily went missing last Saturday night after telling her she was going to a co-worker's house for pizza and a movie. A friend there saying Emily drove away that night and hasn't been heard from since. The not knowing, I think, is destroying us. It's the worst pain I've had in my whole life but the thought of a missing daughter, not knowing if she's safe, if she's hungry, if she's -- Reporter: Adding to the mystery, the family says Emily's bank account hasn't been used and neither has her cell phone. Her daughter needs her. We need her. We just want her here. Reporter: Her family passed out flyers and acknowledged the little girl has been a source of strength. She's been such a trouper. I think she's showing more strength for us. Reporter: Emily was last seen in her mom's car, it's a 2012 Nissan Altima. There will be a search today in ennis, Texas, to see what they can do. The common thread with all these missing persons cases, to somebody this is the most important person in the world. In this case probably her daughter, right? It's so sad. Just for that whole family. Absolutely. So many questions. Thank you, Zachary. 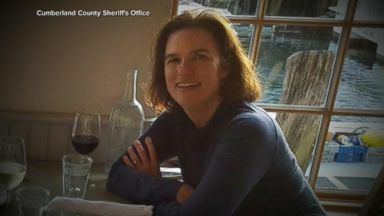 The search for teacher Kristin Westra, 47, last seen going for a jog, is entering its fifth day and now includes police dogs, drones and volunteers. 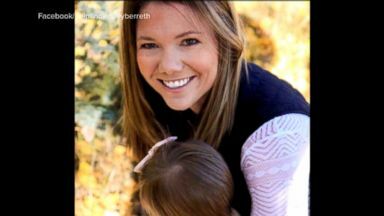 Patrick Frazee, the fiance of missing Colorado mother Kelsey Berreth, was arrested for murder nearly one month after Berreth vanished, sources told ABC News. 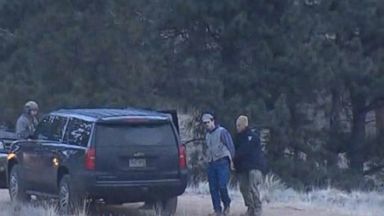 Last seen on Thanksgiving Day, investigators continue their search for Kelsey Berreth. Police said they have finished the two day search of her fiancÃ? (c)'s 35-acre property.